Over One-Half of the World’s People Are Sick! Will You Join Us in Helping Them? Blood Clot Gone Via Natural Healing! This year at age 49 I was diagnosed with a life-threatening blood clot in my leg, otherwise known as a deep vein thrombosis or DVT. Frankly it scared me quite a bit. When the clot was found, they rushed me to the emergency room for treatment and I wrote goodbye letters to my family, because it looked like this could be the end. Blood clots claim hundreds of thousands of lives per year. One person dies every six minutes from a blood clot in the United States. It is the sixth leading cause of death in the U.S. Twenty percent die within the first month of diagnosis. Sudden death is the first symptom in 25% of those diagnosed with a DVT. The blood thinning medication the doctors put me on was also very dangerous (causing high instances internal bleeding, brain bleeds, stroke, etc.). I didn’t want to take it, but the doctors insisted that if I didn’t, the blood clot could get worse and/or I could develop other clots that would make the situation even more dangerous. 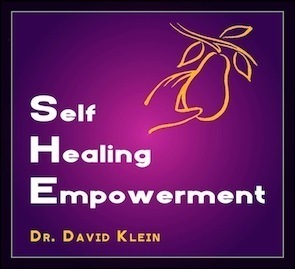 My uncle had worked with Dr. David Klein before and highly respected his work, so he referred me to him. I explained the situation to Dr. Klein and he customized a diet plan to facilitate the healing process. He asked me for very detailed information which I provided. Dr. Klein very patiently explained the importance of following his Vegan Healing Diet Plan of only fruits and vegetables with no fats, to keep my blood thin and to avoid energy-intensive digestive burdens which would interfere with the healing process. Against my five doctors’ orders, but consistent with my intuitive sense that the medication was dangerous in its own right, I decided to stop the medication. Other than the strict vegan diet, a hypnosis audio was the only thing I did to assist my body in the healing process. Dr. Klein checked in with me regularly and we tweaked the diet slightly to satisfy my taste preferences. Fast forwarding to six weeks later, I just had my last Doppler test (a sonogram that monitors and visualizes blood clots). Much to the doctors’ surprise (I had a few of them), and much to my great relief, the blood clot is completely gone!!! Those doctors had said it wouldn’t go away. I am eternally grateful. Miseducated societies are fraught with confusion, nonsensical thinking, destructive behaviors, incessant turmoil, suffering, and, if carried too far, extinction. Does this sound familiar? Indeed, sadly, this is our reality. This so true! With regard to health and ecology, every system of thought must be grounded in an accurate understanding of the true physiological and biological Laws of Nature, as well as an accurate understanding of humans’ true biological nature. All else is delusion, begetting turmoil and disease. The only true system of thought with regard to healthful living, and the only basis of educational excellence, is Natural Hygiene, which we also call Vibrant Living. Natural Hygiene is based upon an accurate understanding of physiology, biology and a huge, time-honored body of empirical evidence. It is the art and science of living healthfully, or vibrantly, fulfilling the Prime Requisites of Health, in accord with our natural biological mandates. 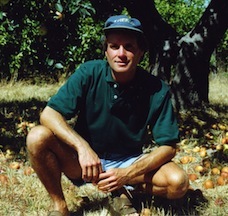 Natural Hygienists / Vibrant Living Enthusiasts refer to Nature as our mentor and teacher. Natural Hygiene teaches us the Natural Laws of Life: i.e., the nature and purpose of disease, how to restore health relying on our awesome self-healing powers, and how to live in optimum wellness. It can be considered to be “applied human physiology.” The Natural Hygiene teaching model holds that Vibrant Health is our God-given birthright and this is attainable via Vibrant Living. It embodies those principles which guide us to correct living practices. Natural Hygiene is timeless—it is simply the one and only science of wholistic natural health. No other health system has proven to be more effective in the restoration and preservation of health. Natural Hygiene must be our sole teaching basis as all other health systems mislead us onto delusional, disempowering paths because they are unnatural, disconnected from our true nature. They are life-debilitating, rather than life-enhancing. 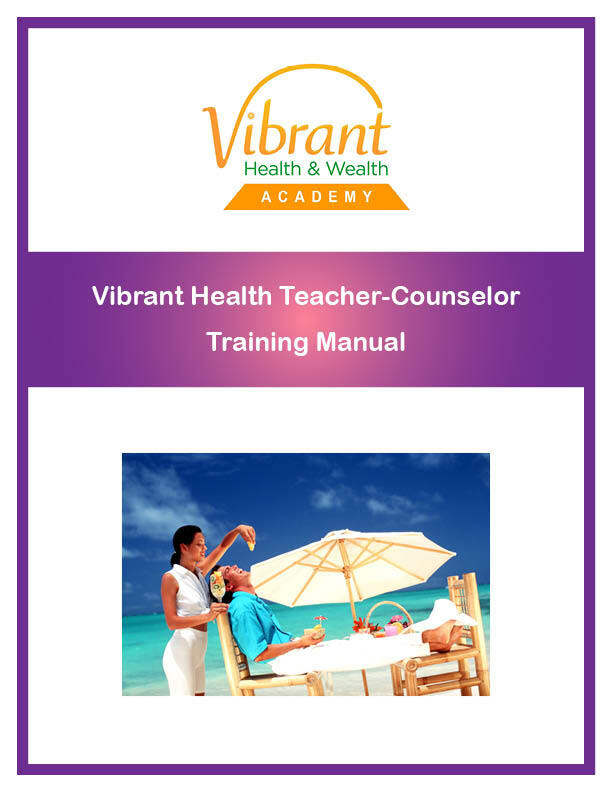 The Vibrant Health & Wealth Academy teaches and trains Vibrant Health Teacher-Counselors in all of these precise hygienic principles. What is Natural Hygiene and what is so special about it? “Hygiene” is literally “health.” “Natural Hygiene” is the science and fine art of holistic, natural, healthful living. There are many approaches and “schools” of health, but the true nature of holistic natural health is presented in only one system or curriculum of study: Natural Hygiene. Based upon an accurate understanding of physiology, biology and a huge, time-honored body of empirical evidence, Natural Hygiene teaches us the Natural Laws of Life—i.e., the nature and purpose of disease, how to restore health and how to live in optimum wellness. Hygienic counselors have the greatest success in helping people recover from illness and create truly vibrant health, because we guide clients in the application of the true requisites of healing, primarily: fresh air and water, rest, sleep, nutritious pure foods to which we are biologically suited, appropriate exercise, and careful support which empowers individuals to heal via their own God-given ability. The world must learn Hygiene! Natural Hygiene is timeless—it is simply the one and only science of holistic, natural health. It stands alone as the proven way to help people heal and rejuvenate in mind, body and spirit. This course of study is the most empowering and yields the best results. Our clients love us because we teach the truth, they get results beyond their expectations, they save bundles of money, overcome suffering and sing new songs of joy. When our clients learn Nature’s laws and provide the true requisites of health, they unerringly meet with healing success and create happy outcomes. Now, that’s the hallmark of a truly excellent and fulfilling career! A truly excellent teacher, such as a Vibrant Health & Wealth Academy Teacher-Counselor, embodies truth, integrity, compassion, wisdom and goodness, and radiates the glow of extraordinary vibrance. Natural Hygiene is his or her sole teaching basis, and the means by which consistently superb results are achieved—naturally! A truly excellent teacher-counselor’s students and clients learn how their dietary and other lifestyle choices are key factors in the performance of their physiological functions and the preservation of their health. They are taught how to remove the causes of their diseases and apply Vibrant Lifestyle practices which will liberate them from disease. They are instilled with supreme confidence in their own intellectual capabilities, to find the information they need and to deduce the answers using true science and natural logic. They are informed of the supreme necessity of assuming 100% responsibility for taking care of their own health. They are empowered to become their own doctor, whereby they make health decisions based upon their own intuition and the common sense of the Laws of Life. A truly excellent teacher-counselor imparts to his or her students and clients the proper understanding of the physiology of detoxification and what the body requires to rejuvenate. In turn, with skillful guidance, clients will rejuvenate and reach loftier heights in health and physical and mental performance than previously experienced. The teacher-counselor’s students and clients will understand that with an alkalized body which is no longer stifled by toxin-induced fatigue, stiffness, weakness and pain, and free of the misery of failing bodily functions and the effects of drug treatments, they will become energized, feel more alive and joyful, and get more out of life. They’ll discover what a magnificent self-healing, high-performance, energetic marvel their body is when it’s bathed in an alkaline environment which is fed the Vibrant Diet. The Vibrant Diet model of healthful eating is a key element taught by a truly excellent teacher-counselor—it sets him or her apart from virtually all other schools of diet and nutrition. The Vibrant Diet is humans’ natural biological diet. It has proven to be the most health-promoting of all dietary models for humans, and the only logical way to go when we consider human nutrition, health restoration and health maintenance. It brings people back to life! 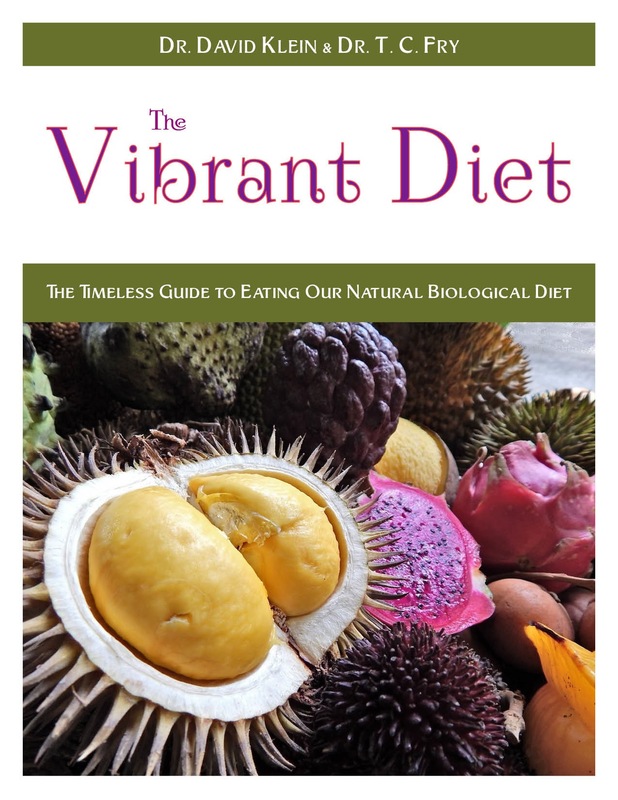 The Vibrant Diet is based on conclusive evidence that we are biologically and physiologically frugivores. As such, fruit stands as our natural and healthful food. The Vibrant Diet consists of our most naturally healthful, delicious and satisfying foods: raw fruits and vegetables with minimal amounts of seeds, and nuts. The Vibrant Diet is comprised of 90% alkalizing foods, averaging the following caloronutrient ratio: 80% carbohydrates, 10% protein, 10% fat. Eating 75% raw is a good place to start, with the goal of working one’s way up to 100 percent raw. The Vibrant Diet reverses and prevents acidosis, the predominant underlying condition which causes most diseases and the physical degeneration humanity experiences. This vivifying diet promotes complete healing of most disease conditions and complete rejuvenation, attended by peak strength, endurance, longevity and a joyful sense of Vibrant Health. Many have realized these wonderful benefits for themselves, and many more need to receive our vital message and our help in adopting the Vibrant Diet. Truly excellent teacher-counselors have the greatest success in helping people recover from illness and create truly vibrant health. They are living examples of the highest level of health attainment, and will stand out as a beacon of Vibrant Living and educational excellence. Their clients love them because they teach the truth, they get results beyond their expectations, they save bundles of money, overcome suffering and sing new songs of joy. When their clients learn Nature’s laws and provide the true requisites of health, they unerringly meet with healing success and create joyously happy outcomes. A thorough education in Natural Hygiene / Vibrant Living is the pathway to achieving elite status in educational excellence. There is no truer or more empowering way to go! The true beauty of life and its highest joys can only be realized via correct thinking and Vibrant Living. To truly know yourself and fulfill your true potential, become a student and practitioner of Vibrant Living. You’ll love the results and will likely become highly inspired to share your knowledge and positively affect the lives of many. That’s human nature—the world needs just that! Would you like to create a superior and truly fulfilling career as a holistic natural health professional, helping people to become truly healthy? Can you imagine yourself helping thousands of people while living your true purpose in life? Can you picture the joy and satisfaction this would bring to you and those you care about? For more information, please visit the Vibrant Health & Wealth Academy site and envision your future as an excellent teacher-counselor and successful wholistic health business entrepreneur. I’ll be happy to hear from you! Last year, the 30th anniversary of my natural health awakening and grand healing, an exhilarating vision embraced me, sparking a momentous life decision. Sensing that the time was ripe to “give my all” as an educator-counselor-career mentor, and heeding this calling as my moral duty, I decided to share all I have learned and began to establish the ultimate online health school with my wonderful wife Annette. 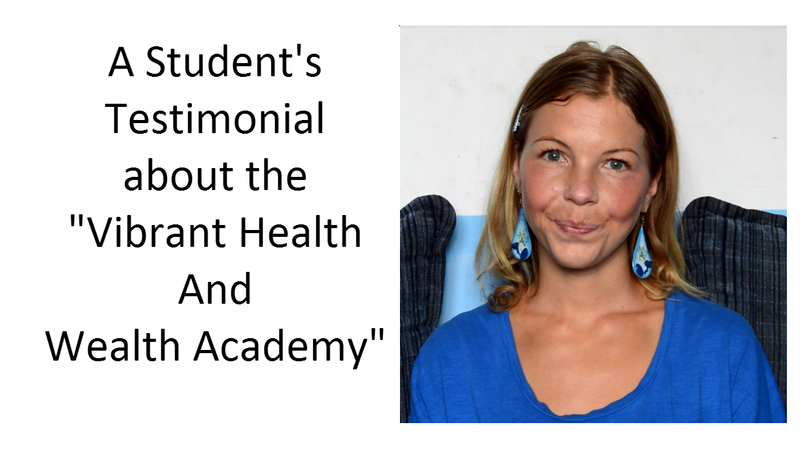 The Vibrant Health & Wealth Academy—the culmination of my life’s work—has been born! The Vibrant Health & Wealth Academy was launched in January of this year. Its mission is trifold: 1. to teach the Natural Laws of Life and empower the health seekers to heal and live vibrantly, 2. to train Vibrant Health Teacher-Counselors to be exceptionally effective wholistic health professionals, and 3. to provide Vibrant Health Entrepreneurs with my digital ebook and magazine products, guide them in setting up their own web-based businesses, and mentor them throughout their Vibrant Health Teacher-Counselor-Entrepreneur careers. I think that the Vibrant Health & Wealth Academy stands as the most innovative health school in the world. Its truth-illuminating curriculum will power health counseling careers like no other program. Our graduates will shine and stand tall among the most highly-educated and well-trained wholistic health professionals in the world. The world needs brilliant, correctly educated trained, wholistic health teachers and counselors like never before! I am aiming to enroll hundreds of students this year. To me, “welfare” refers to the health, happiness, and fortunes of the people of the USA. Since the governments of the USA and most other countries in our world are not doing their jobs of promoting the general welfare of their people, I’ve created the Vibrant Health & Wealth Academy to do just that! While the name “Natural Hygiene” never caught on, I am hopeful that its synonym, “Vibrant Health,” will take root. I also hope that you and many others will either partake in our program or support the mission via social networking, word-of-mouth referrals and/or benefaction. 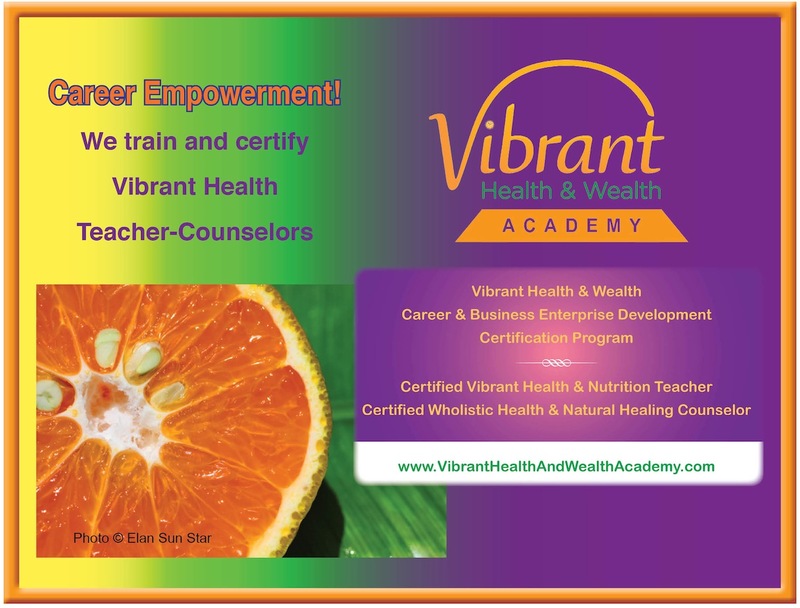 If you agree that the world needs a multitude of Vibrant Health Teacher-Counselors, I’d love to hear from you. Please check out our website at http://www.vibranthealthandwealthacademy.com and let me know your impressions. Our program is detailed at http://vibranthealthandwealthacademy.com/program/. Our Prospectus is at http://vibranthealthandwealthacademy.com/wp-content/uploads/2015/01/prospectus.pdf. 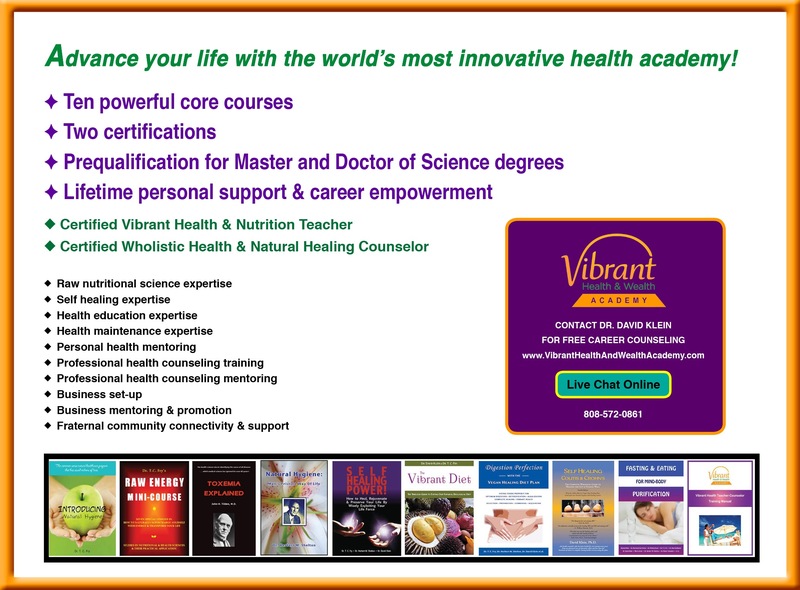 If you are seeking to learn and thrive by the ultimate natural health precepts and help health truth seekers within your sphere, please connect with us. The Vibrant Health Program revolutionizes and brings all good things to life! Please join us in our mission to teach the world the fundamentals and promises of Vibrant Health. Together we co-create the vibrantly healthy world we wish to live in. Please watch our video on how to receive a $500 discount for enrolling by January 31, 2015. All the best in vibrant health! 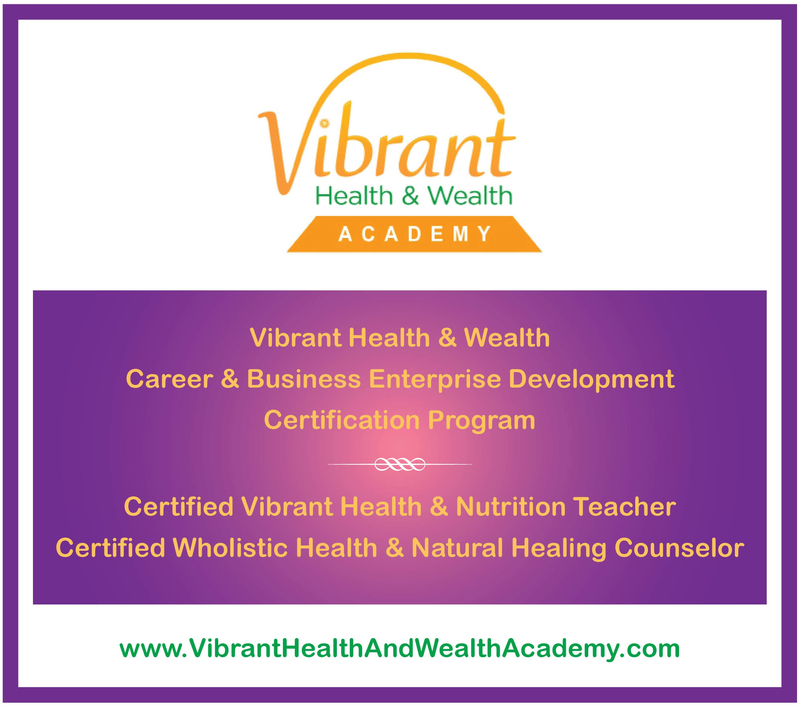 Announcing the Vibrant Health & Wealth Academy!